West Coast Office National offers a comprehensive service of Technology Sales, Service & IT Support. The modern workplace depends on a wide range of business machines and office equipment to function productively. We’ve got a great range of products to help you keep up with the changing demands of business technology whether you’re in a fixed or mobile work space. Your integrated and streamlined workplace starts with computers, monitors, printers, software and accessories, as well as data storage, networking and audio. Add ergonomic accessories to adapt your workplace to fit the worker and reduce pains and strains. You’ll present well with our laminating, binding and labeling machines, and maintain privacy with our shredders. We’ve got all your trusted brands including Brother, Canon, Samsung, Logitech, Verbatim, Fellowes, Rexel, and more. You’re going to love our business machines and technology accessories. Discover everything you need right here, at West Coast Office National. At West Coast Office National, we want your business to run efficiently, and the age of your office printer might be working against this goal! Now wait a minute – what’s wrong with an old printer, you might be asking. If it’s still working there’s no point replacing, right? Wrong! 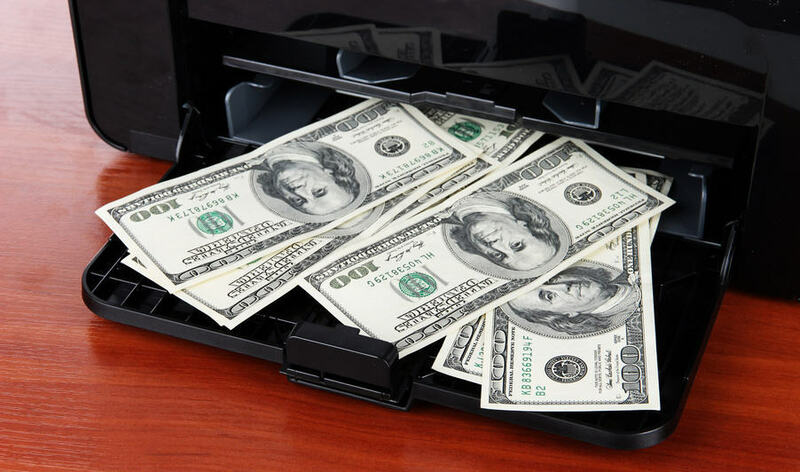 Your old printer could actually be costing you more money than if you replaced it, and we’re here to help you save money and work more efficiently. Office printers work hard during their lifetimes, but many workplaces expect them to function perfectly well beyond their age of retirement. You may think you’re getting good value for money by keeping them in this forced labour, instead they’re wasting money as their maintenance and ink costs soar. Meanwhile, print technology has moved on and you haven’t. Advances are constantly being made in both printer hardware and ink/toner quality and costs. When our tired printers are still functioning, albeit not at their best, it’s hard to justify ditching them for a newer model, especially if you’ve gone to the expense of buying one outright. We become accustomed to them and even their idiosyncrasies, and lose sight of how much time, effort and money we’ve started putting into them as they’ve aged. The wear and tear of time takes its toll on your printer, with maintenance and ink/toner costs increasing. As its technology is superseded, it also becomes less energy efficient by comparison. It is generally accepted that modern technology has a lifespan of about 18-24 months as quantified by Moore’s Law, which states that computing power doubles every two years. While we anticipate and rejoice at the release of the latest smartphones and hunger for the promise of augmented reality, we seem to unfairly demand that our office electronics will live forever while maintaining peak performance. When a new printer is released it is at the top of its game with all the latest and greatest technology and advances in inks or toners. However this technology is continually developing and being refined every year. Within one year your shiny new printer has already been eclipsed by something more cutting-edge, and by 2 years it is due for retirement. If cost control is important to your business you will be looking at the overall expense of a printer rather than just the upfront cost. The real expense of a printer is its running costs: not just the ink or toner it uses, but also energy consumption, maintenance, replacement parts, and even its effect on your air conditioning costs from the heat it generates. Printer technology is constantly evolving, with enhancements being made to the print engines and mechanisms, and even the ink or toner they use is being regularly refined. These upgrades drive down costs and increase quality. We’ve also seen a huge reduction in warm-up times, improvements in sleep mode, and new features like wireless and app connectivity that let you print from anywhere in the world. By regularly upgrading your printer, either through purchase or rental, you will cut costs and keep up with the latest innovations for your workplace. So if your printer is beyond 2 years old it’s time to give it the golden handshake and a farewell party. West Coast Office National will help you decide on an an efficient new model ready to offer you higher quality output at a better price.